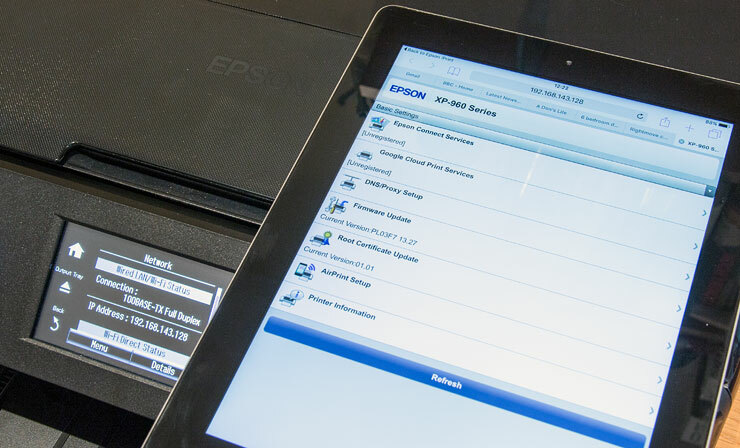 The Epson XP-960 is a six ink printer/scanner that can handle print paper sizes up to A3. 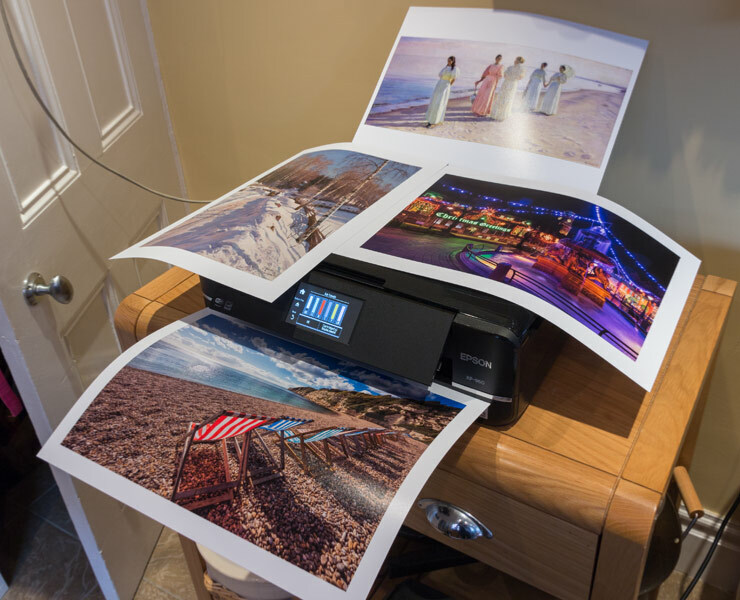 Whilst not in the dedicated photo printer market that we usually review, Keith wanted to see how good it was for occasional photo printing as a general office printer, where the ability to print double sided is very helpful. 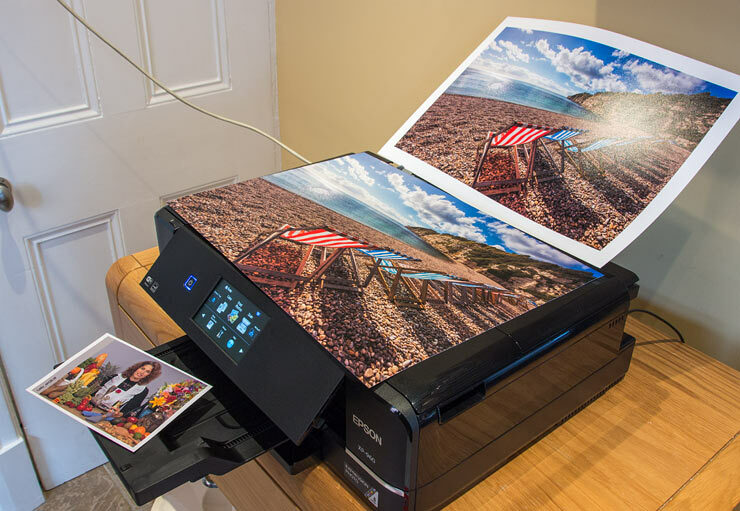 When you have a large format 44″ printer in another room, small 6″x4″ photo prints or cards for promotional use are not something it’s much help with. 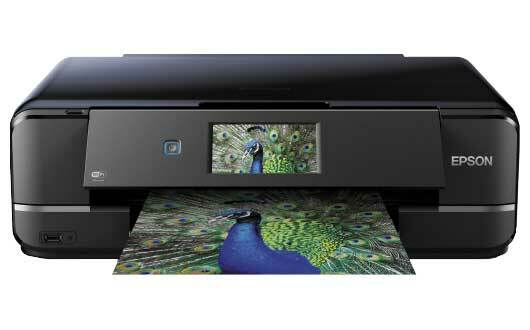 The printer come in the ‘All in one’ category, in that it includes a scanner, and can act as a colour copier too. 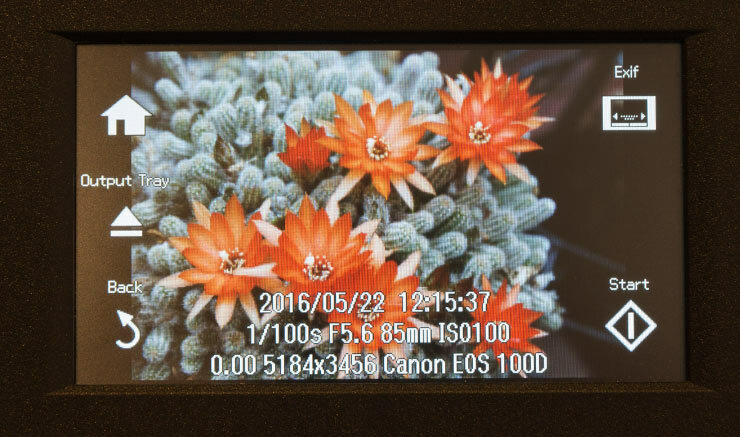 The 10.9cm LCD touch screen can display images for cropping or adjustment. With wired and wireless connectivity it’s easy to set up in your computer network and connects with devices such as phones and tablets, and a range of cloud based print options. I’ve mainly looked at print functionality and quality when sending photos from my computer, since I’ve no real use for phones and tablets in this area, but it’s nice to know the features are there. All testing was carried out with an Apple Mac (OSX 10.10,11) and Photoshop CS6. Functionality and operation should be just the same on a Windows PC. Keith has written numerous other printer related articles and reviews. Have a look in the site ‘Articles News‘ section for details. What do you get with the XP-960? 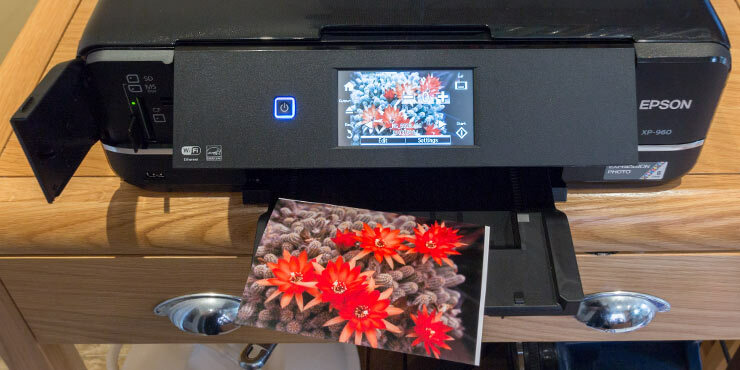 The printer uses the six-colour Claria Photo HD Ink-set, with just one black ink. The XP-960 has two paper trays. The one for larger paper takes a modest stack of A4 copier paper, whilst the smaller tray was happy with 15 sheets of moderately thick photo paper. There is a CD holding tray for CD/DVD printing and a rear manual feed slot for larger papers right up the the A3 300gsm lustre paper I used for a few photos. 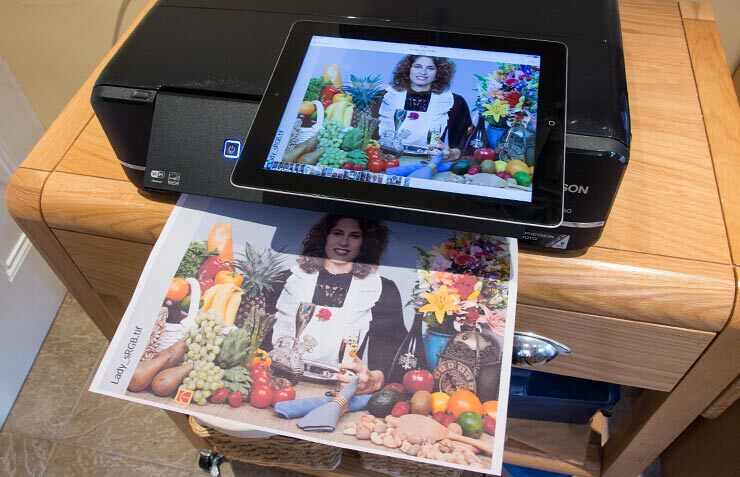 Compact Photo all-in-one: Print in sizes up to A3, scan and copy up to A4. 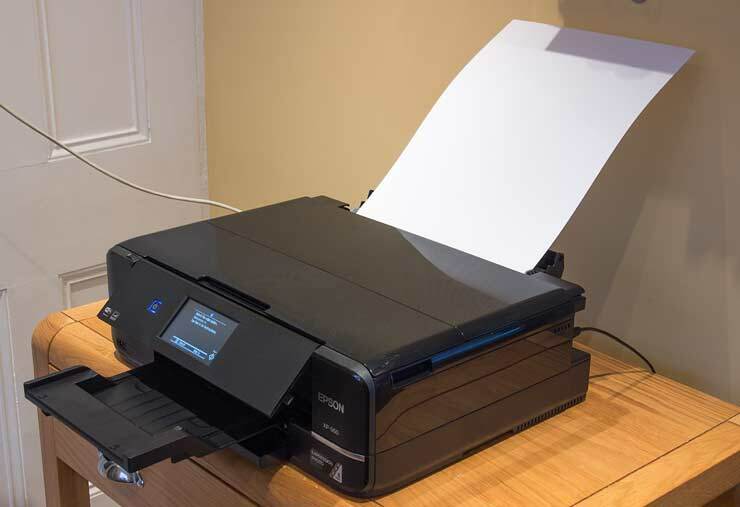 The printer is very easy to connect into a network, with 3 methods of connection. For testing I just plugged in an Ethernet connection, so any wireless devices connected to the printer via our wireless network, not directly. During setup you can choose your initial communication setup. 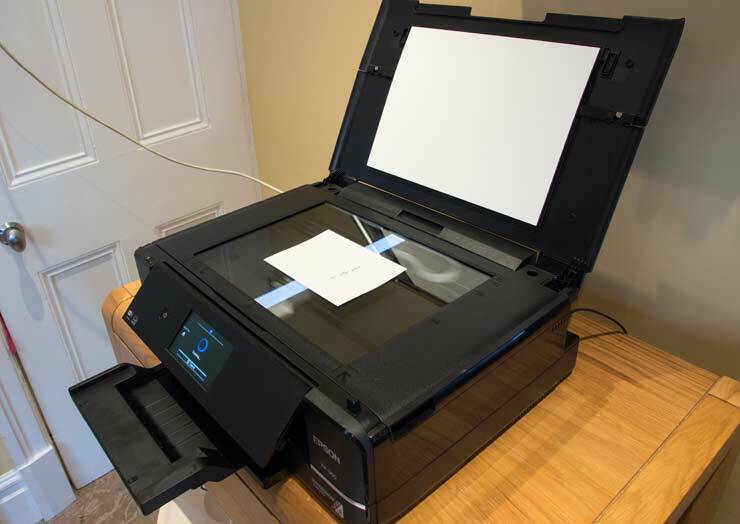 The printer display with its touch screen is very easy to set up. Software for the Mac is installed from the web via a simple installer found on the install disk. 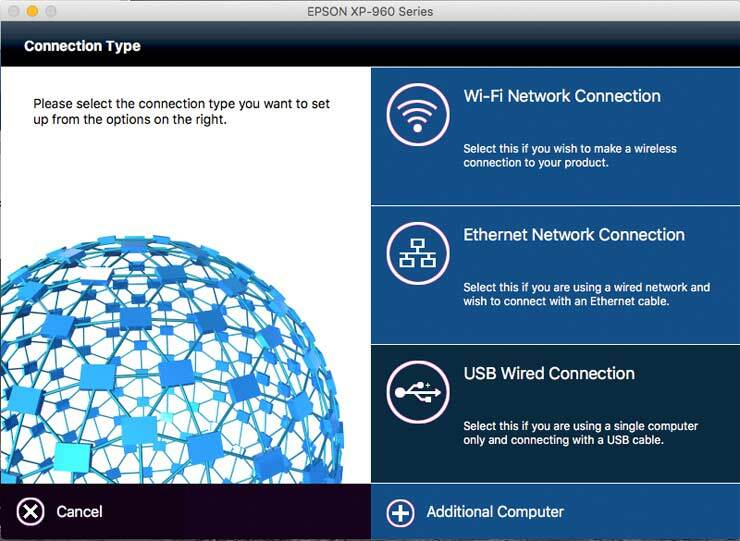 If you go to any Epson download site, you can also directly download installers. 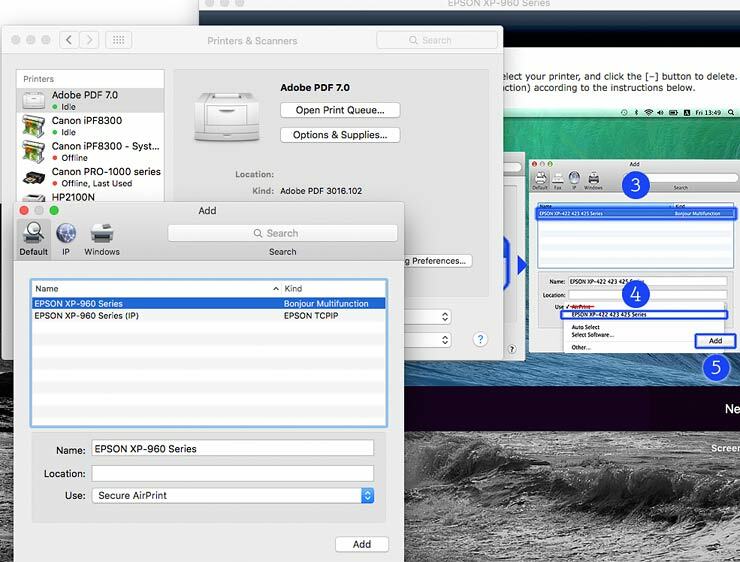 One thing to note on Macs, is that the driver defaults to ‘AirPrint’ options – you don’t want this. You do not want to use this setting – it is actually noted in the install instructions ( in the RH window below) but easy to just accept the offered default without reading the instructions… (yes, I did this). 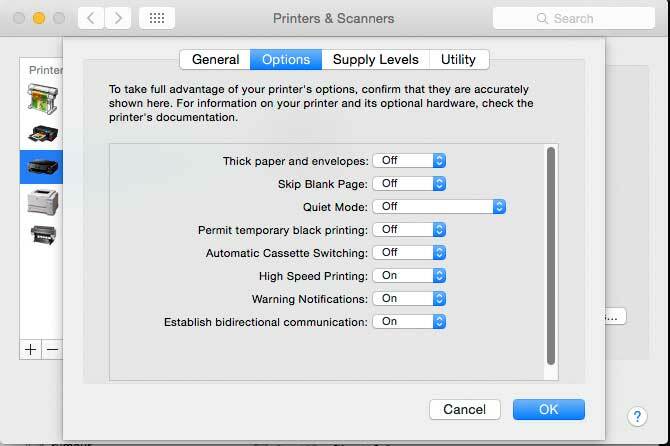 If you find that many of your printing options are missing when you go to print, make sure you’ve the correct driver setting in you printers system preferences. 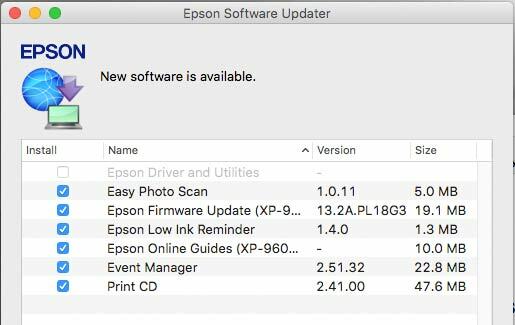 It’s worth running the Epson software updater, since it will install/update anything new. 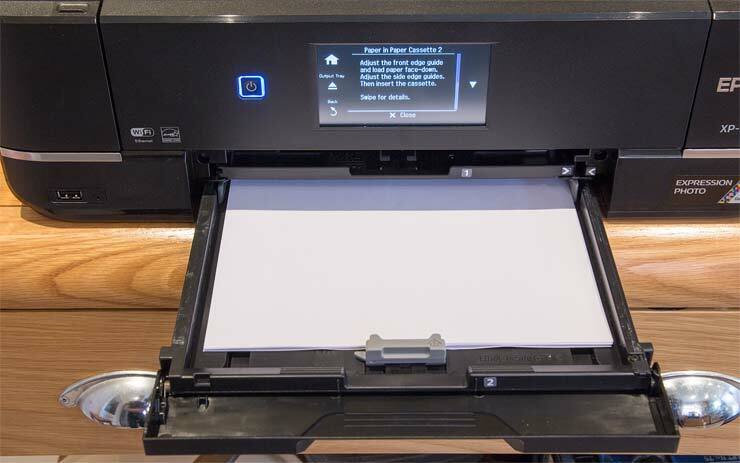 The printer will inform you about firmware updates – or you can update via the computer/web interface. 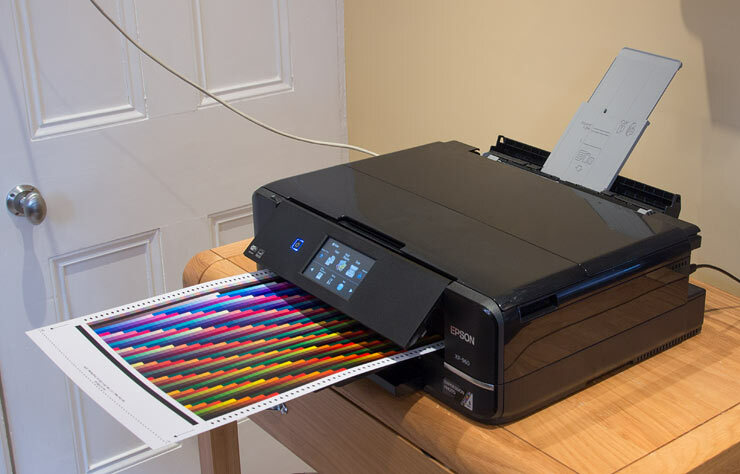 I’m mainly looking at the printer for its photo reproduction, where it could print off an A3 borderless print at highest quality in about 4mins 40secs. Straightforward ‘office’ type printing is fast at normal quality, with no problems with several large double sided documents. The only feed issue was my fault for putting returning a slightly creased sheet of A4 back into the paper tray. 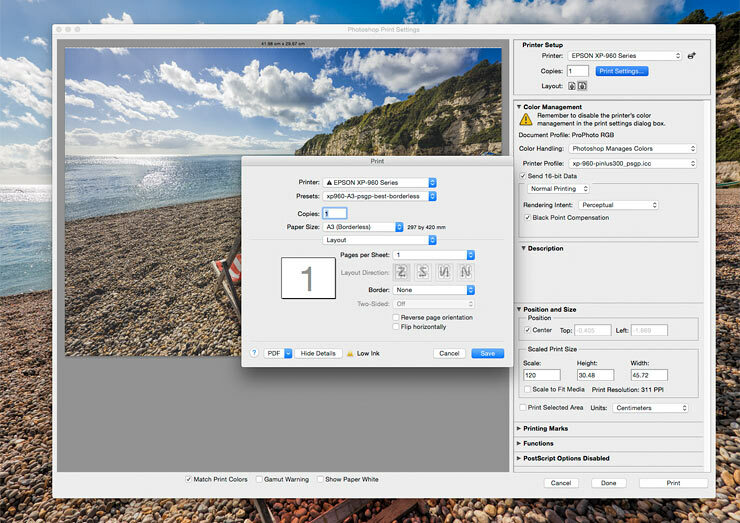 I find it helps reduce errors by saving collections of print settings as Presets – such as this one for the small A6 sheets of glossy photo paper I was trying. Similarly for this borderless A3 print. This is the Photoshop CS6 print dialogue. 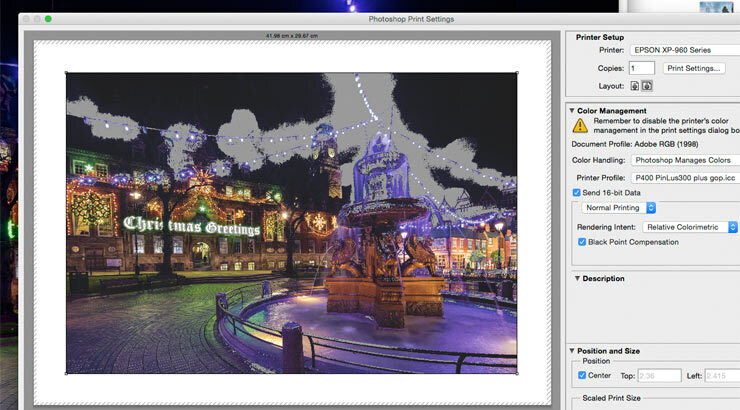 I’m using Photoshop in this review, but you should be able to get good results from any competent image editing program, such as Lightroom or Photoshop Elements. A full range of media types is supported, although I only profiled the printer with the Lustre paper. 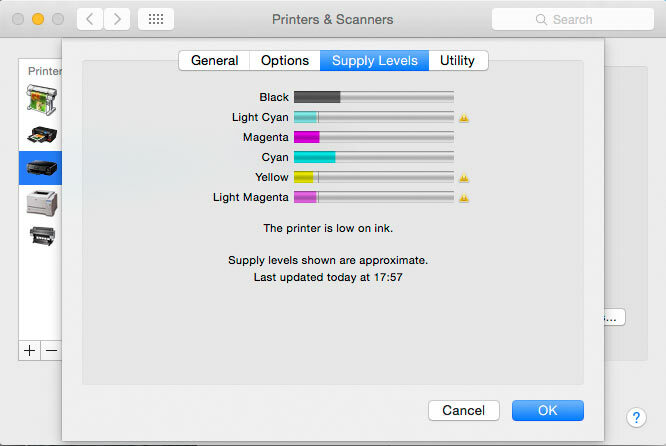 Note how with the rear feed, you send the print job to the printer and wait for it to tell you to load paper. 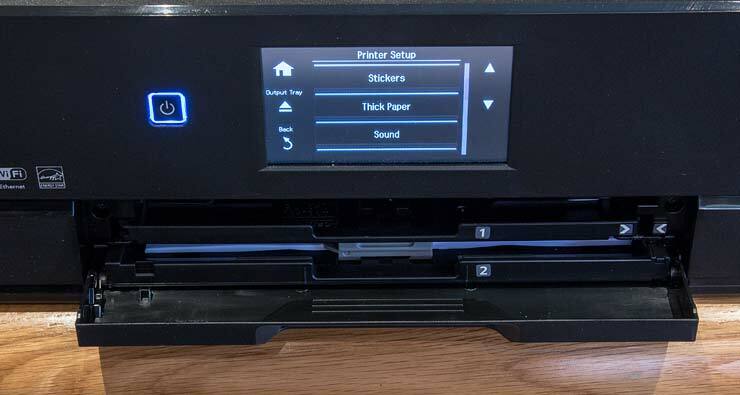 This might be a minor annoyance if you have a lot of big prints to make, but then again why are you using a printer like this for a lot of A3 prints? Remember I’m looking at the printer as something to have in the office that can produce general print output and handles small photo and card output as well. It’s plain copier paper, so actually not that bad (nor is the screen so obviously different when using it). 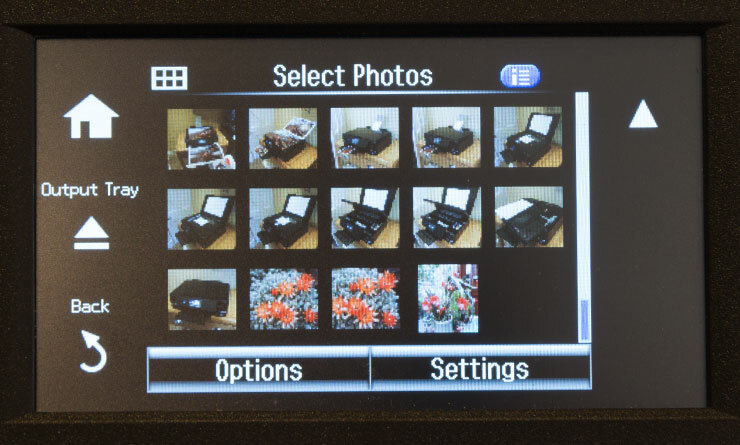 Card slots and a USB input allow you to directly import photos from cards and cameras. I noted that any cards or USB storage connected were automatically available, shared on our network. Putting the SD card out of my Canon 100D into the printer, lets me look through the JPEG images on the card (no RAW support). Here’s a shot taken minutes earlier, of some of the cacti flowering in the conservatory. Shortly afterwards I have an A6 sized print. A6 paper is supported, but not for borderless printing – I’d prefer to have tried 6″x4″ paper, but the local stationary shop was out of it. You’d normally put the lid down, but the shot below shows the light/sensor array moving across the scan area from left to right – stretched into a band of light by the 1/3s exposure. 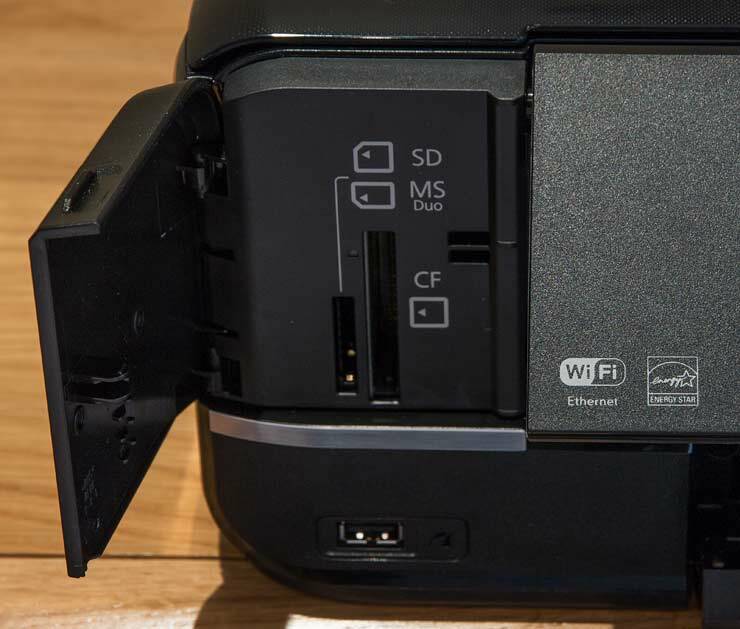 Although the specifications say the resolution is up to 4800ppi, this is certainly not a scanner of the quality of the specialist Epson V850 I reviewed last year. It’s good enough though to make quite acceptable copies of photos. 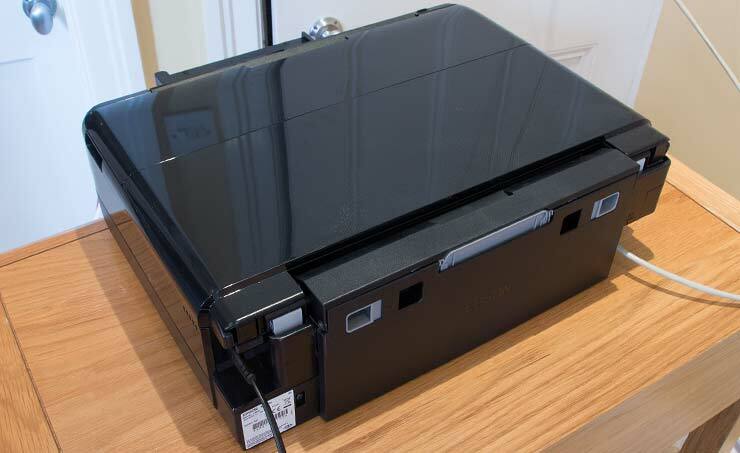 The scanner will start up Epson Scan software if you select a local computer destination for the scan (and the software is set up). There is more about this software in the V850 review. 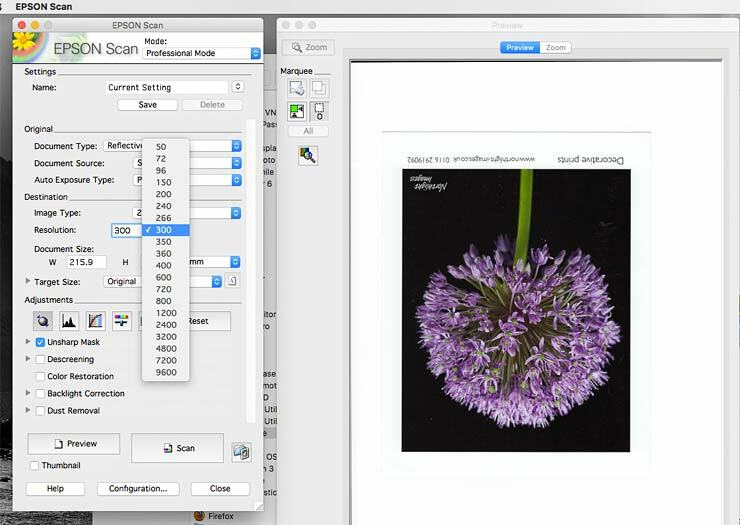 Epson Scan is a perfectly good bit of software for general purpose use, you could also use the Apple default Image Import software if you wanted, or scan to a card. The ink carts simply click into place in the print carriage. Warnings of low ink come in good time to get in supplies, and unless you are printing a stack of A3 borderless photos, you’ll get plenty more prints before you absolutely have to change. The before and after indicators below give an idea of the amount of ink used for two prints of the beach scene. One A3 print with a border and one borderless. I’d note that I’m using the normal capacity carts here – if I was doing much photo printing I’d definitely want the better value XL size carts. You can buy multipacks of carts, but it’s worth checking carefully what you are using up the most. So, with plenty of office printing, you might find it worth getting a few of the higher capacity black carts. The two A3 prints of the beach at Beer in Devon. 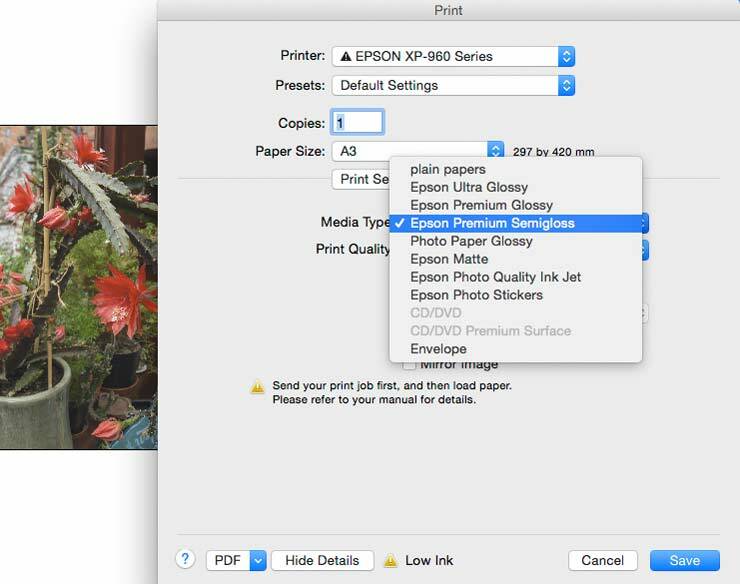 Note the A6 printer test image – produced after making an ICC profile for this small paper size. There are two paper cassettes at the front. The lower cassette (2) takes larger paper, such as the A4 copier paper here. Cassette 1 can be loaded with photo paper – print side down. Individual sheets are loaded at the rear. Small sheets are handled the same way (one at a time). 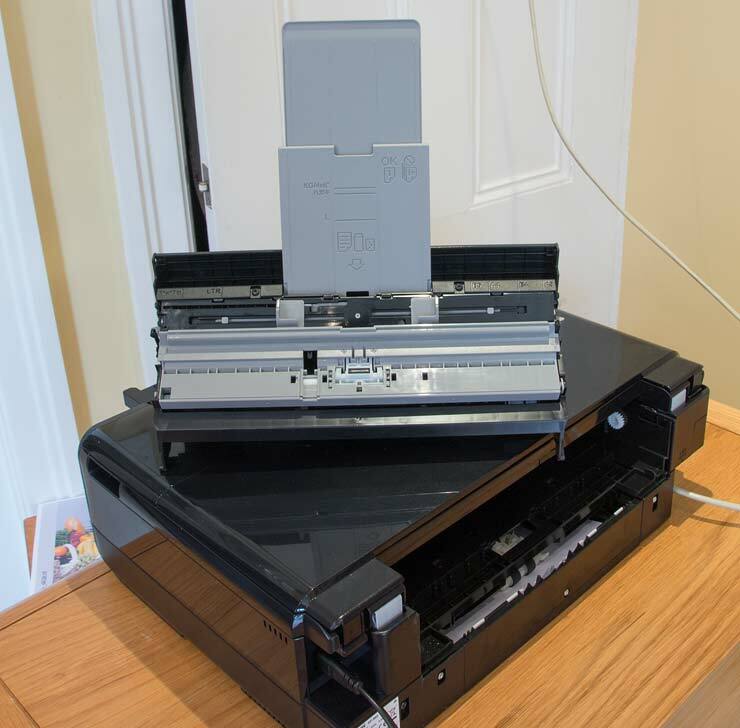 The printer has a duplexer unit for double sided printing – two catches allow you to remove it for paper jams and cleaning. Note power (L) and EtherNet (R) cables. The only time I had a mis-feed was when I tried to re-use some sheets of paper and they were not quite flat. Here’s the duplexer unit with paper guide extended. 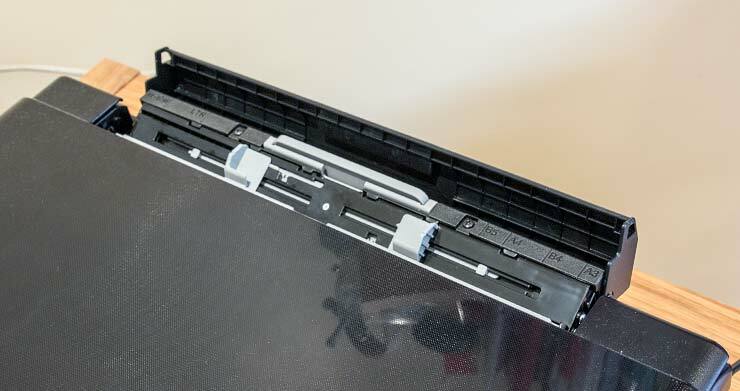 Use the holder at the bottom of the front of the printer to hold CDs for printing. 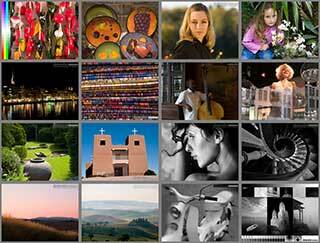 The supplied CD printing software is good for photos and text layout. With any new printer I’ve a series of known test images that I always start off printing, I know what these images look like on different types of paper and many different printers. It’s a quick way of seeing if the printer is up to more detailed testing, since if it can’t manage one of these images, it’s not going to suddenly look better with others. I always suggest using such images when testing new papers, rather than your own favourite photos. If you can print an image you like the quality of, from these, then it makes refining the printing of your own work so much easier. I also use both for testing the performance of printer profiles. If you make use of them, then do be sure to read the explanatory notes that go with the images. One of the aspects of this printer I was keen to check was just how good colour prints actually looked after I’d made a custom paper profile. 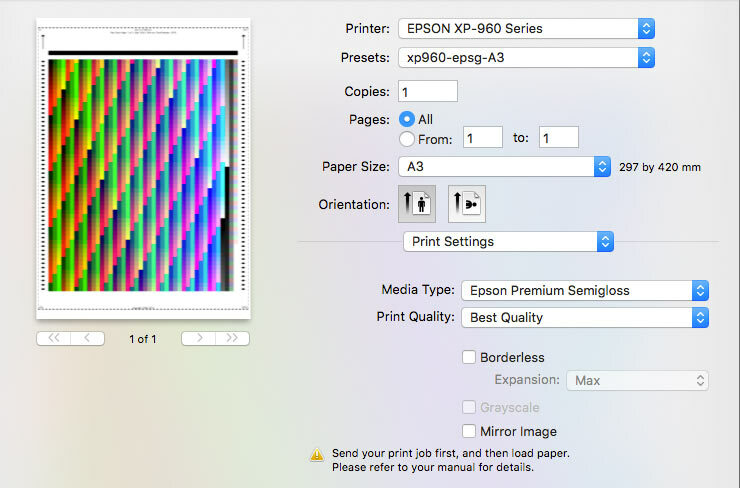 The printer is supplied with profiles for several Epson media, and if you have the papers, you should try using them. 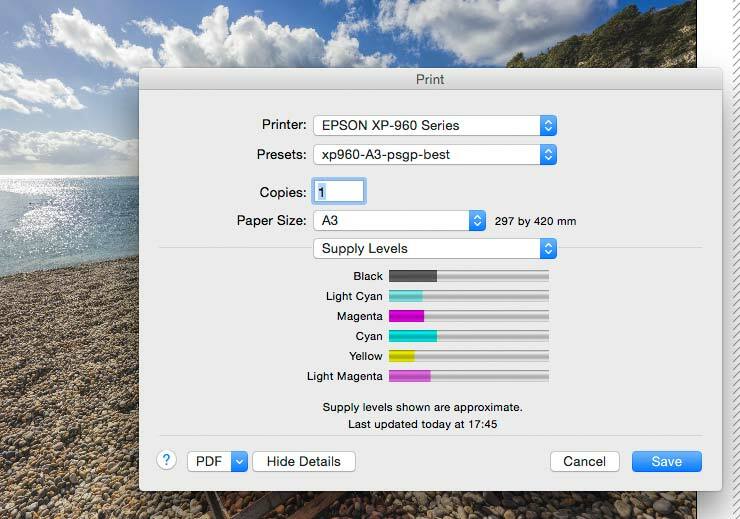 I prefer to create my own colour profiles for papers and printers I’m testing, using i1Profiler from X-rite and an i1iSis scanning spectrophotometer. I’ve printed my target, using the Mac ColorSync utility. The paper is Pinnacle Lustre 300gsm, one of my favourite general purpose photo papers from a local supplier. It’s bright white, but this isn’t a printer for archival fine art work. I’m after photos that look good. 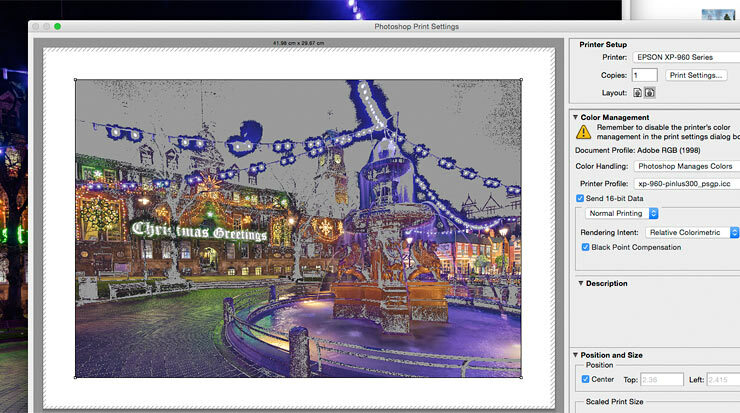 With just the six inks, quite a bit of this image is out of gamut, as shown here in the Photoshop print dialogue. 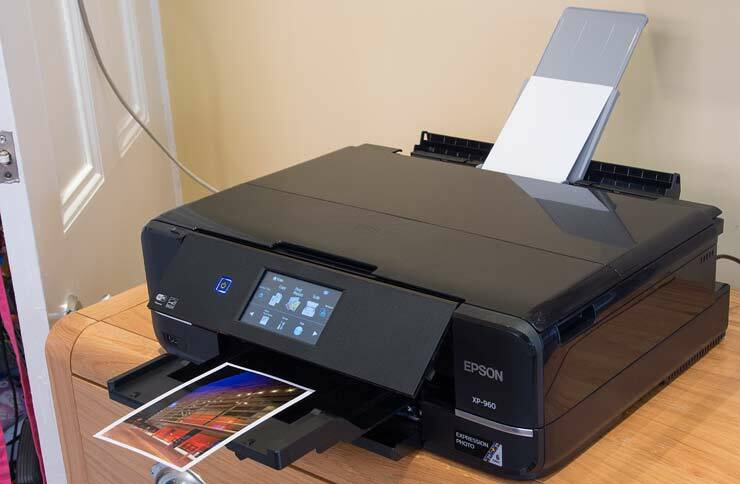 Especially when compared with the Epson SC-P400 below. I’m just using the Photoshop gamut warning (grey bits) – It’s important to note that this is a bit of an imprecise tool, but still useful to give a feel for parts of the image that you -might- want to pay more attention to. But… can you really see that much difference? Yes, if you look carefully, there is better shadow detail and some colours are more defined. However, few people are likely to make comparisons and the sample prints I made were well regarded, given the size of the printer. People seem to expect great prints from something like the big P7000, but the quality from the XP-960 did surprise a few of our visitors (in a good way). FYI, here’s the gamut check for the same paper on the P7000. Almost all printing I looked at on the XP-960 was via ICC printer profiles, which is IMHO, the only way to go for consistent high quality printing, across a range of images. 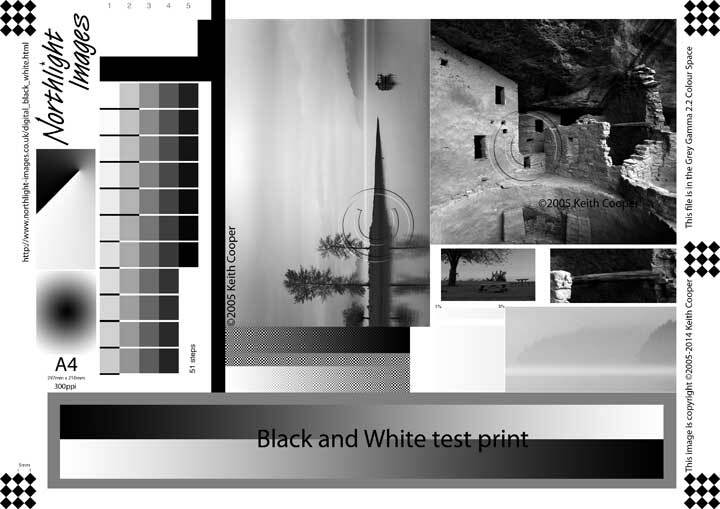 You can of course leave colour management to the printer driver and I printed the colour test image on a sheet of Epson PGPP where it looked acceptable at first glance. i.e. no obviously ‘wrong’ colours. However, the greys had a slight brownish cast and the relative contrast and saturation were pushed a bit too far for my tastes. With the third party A6 photo paper, shadows were crunched and there was a slight tint to black and white parts under artificial light. So, tolerable for quick snaps on Epson paper, but not something I’d be happy with on the third party photo paper I tried. The ‘native’ print mode is also used for printing directly from a card (the cactus flowers above) where it managed the bright oranges of the flowers, but the underlaying dark greens of the plant were noticeably off to my eyes. This was with a 3rd party paper. Using a custom profile I could produce B&W prints that looked fairly neutral. They were better than using one of the supplied Epson profiles, but still had a slight colour cast, which varied with lighting, drifting a little brownish under tungsten lighting. Whilst the colour prints from the XP-960 looked great, the B&W just weren’t quite neutral enough – that said, my standards for B&W printing are high. The greyscale print option in the driver is worth experimenting with, if you are using Epson papers, where it can give quite reasonable results. The P400 makes surprisingly good B&W prints given it too has a single black to use, but for higher quality B&W I feel you need multiple black inks, such as the P600 or P800. There are all kinds of extras built into the printer, such as Origami envelopes, colouring sheets and assorted lined/ruled papers. 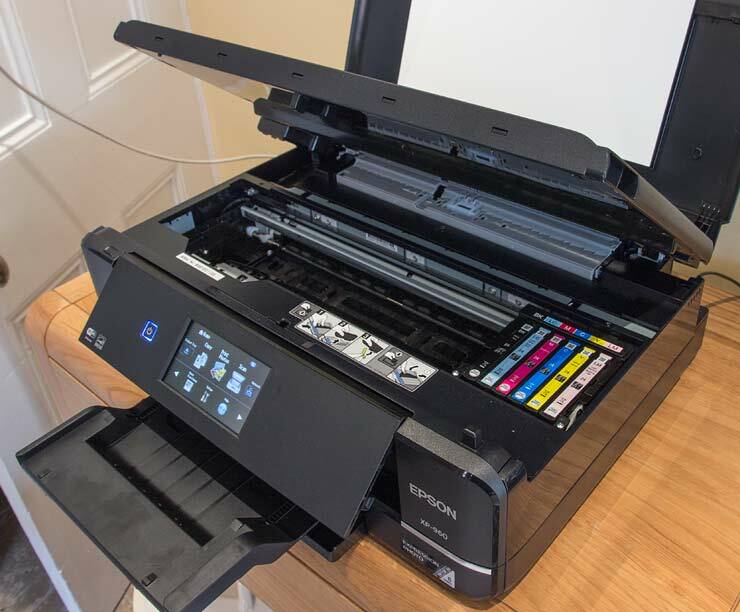 The printer is solidly built and right from switching on, the motorised front panel and paper tray don’t feel at all flimsy or lightly built. 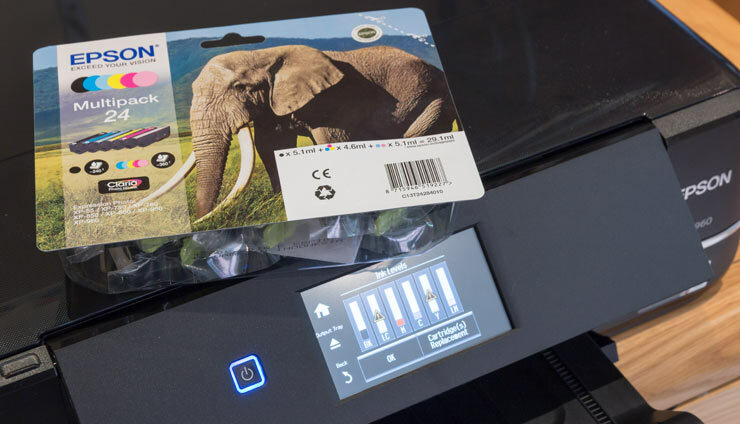 With two trays and a rear feed for A3 size, the printer handles quite a wide range of media. 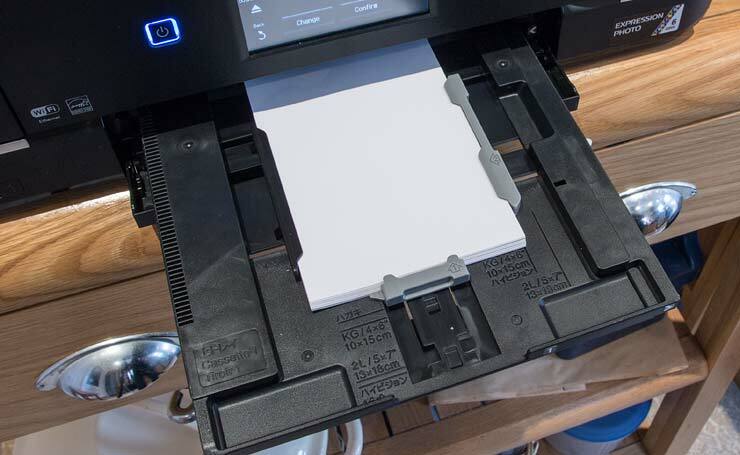 100 sheets of A4 may be a bit low capacity if you print a lot, but there are many other much more office-centric printers out there (with stuff I’d not want such as document feeders (ADF) and Fax). Having a tray of its own for photo paper (up to 5×7) is a nice touch. The duplex unit handled the basic copier paper I was using perfectly well. The differences between ‘Quality’ and ‘Best Quality’ were more readily visible on the big A3 prints than the photo paper. 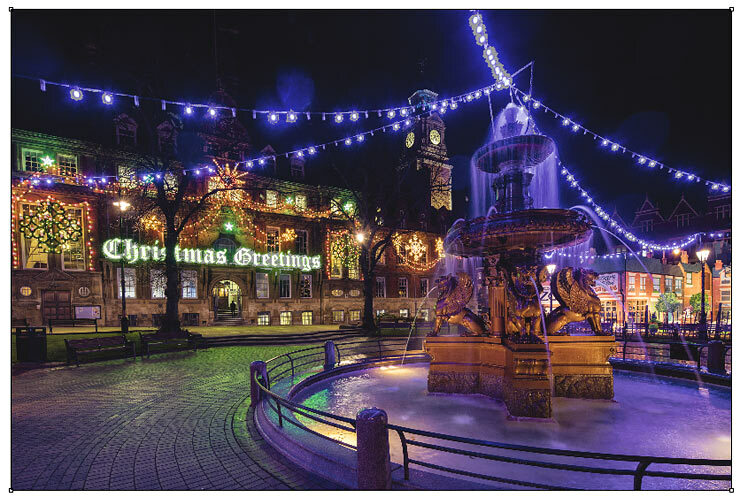 For A6 or 6×4 prints then I’d say the ‘Quality’ setting was more than good enough. Even draft quality 2-up printing on the A4 paper was adequate for review purposes, whilst on better quality paper, the text was nicely sharp at normal settings. The text quality definitely benefited from better paper. It’s not that easy to give any firm cost information given the number of test prints of different sizes and types I made, but if you are going to be printing a lot of photos I’d definitely suggest going for the larger capacity XL carts (see ink cart capacities below). What sets this printer apart for me is the ability to make great looking A3 size prints. It’s not a printer you’d want to use for large amounts of printing at that size, where I’d prefer the P400 or P600, but for the occasional bigger print it’s fine. 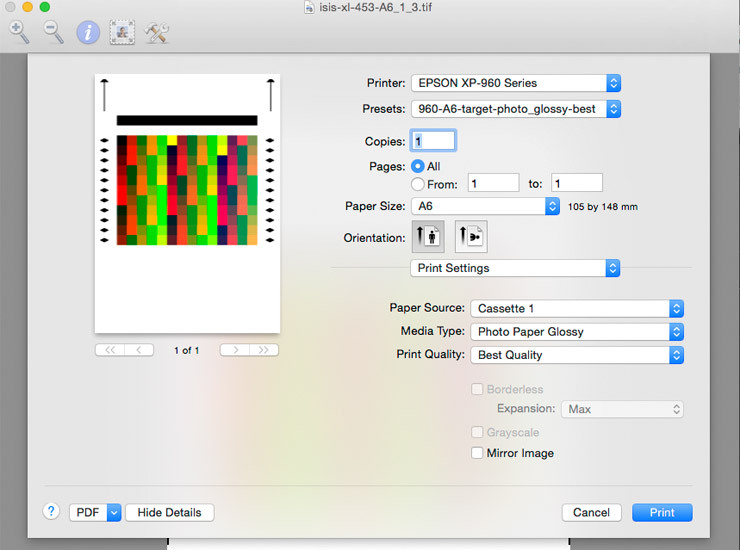 If you’re making borderless 6×4 or 5×7 prints, then the paper tray makes it really easy to use. As an office printer I’ve no concerns, but then again it’s many years since I scanned many documents or sent a FAX. Double sided printing worked well and saves paper. I’ve seen faster office style printers, but they don’t do A3 photo prints. 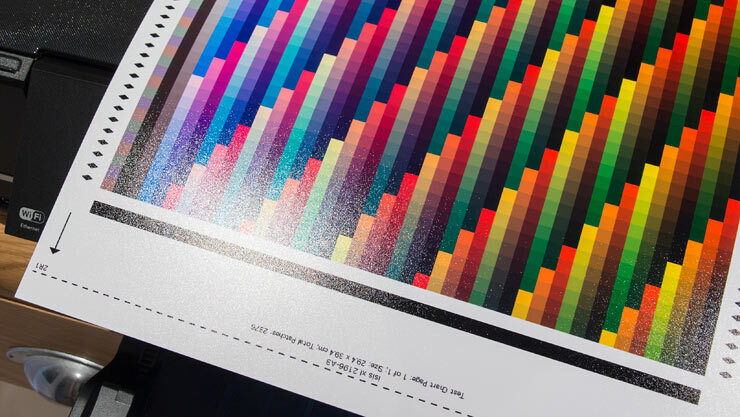 Print quality on a premium quality paper is excellent, and the Claria inks even look slightly better on some glossy papers than more expensive pigment ink printers. A good quality general purpose printer/scanner that also produces good looking photo prints up to A3 (11×17) size. Easy to set up and use. Double sided printing for A4 (letter). A note… I write our printer reviews in my spare time, I don’t get paid and have no business connections with Canon or Epson. The site and my time really are supported by adverts and the links to buy stuff – so a big thank you to everyone who helps us out!